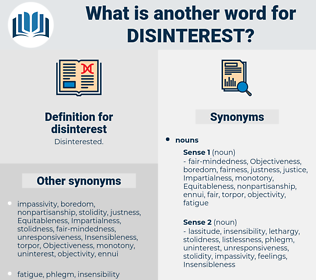 What is another word for disinterest? 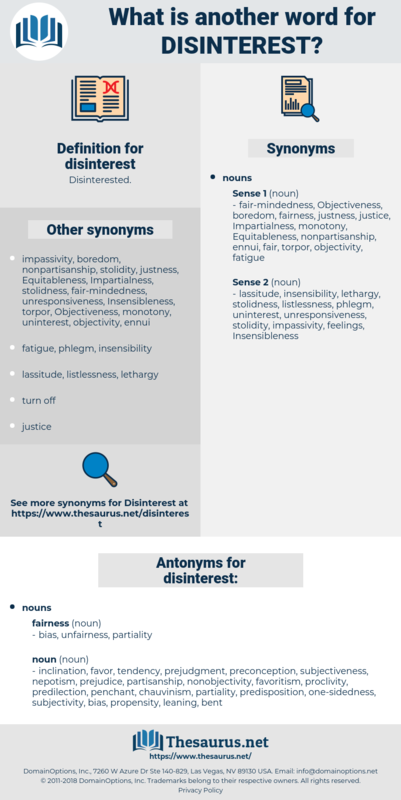 indifference, disregard, selflessness, neglect, lack. leaning, predilection, tendency, one-sidedness, nepotism, subjectivity, prejudice, penchant, preconception, predisposition, inclination, propensity, nonobjectivity, proclivity, partisanship, subjectiveness, prejudgment, bent, favoritism, favor, chauvinism.